Reader Denise F. emailed to let me know that the Horsham Pub (1144 Horsham Rd., 267-387-6702) now notes gluten-free items on its menu, including spicy shrimp, chili, a variety of salads, ribs and broiled salmon. The menu at the pub's sister restaurant, Jamison Pourhouse (2160 York Rd., 267-483-5185), has similar items. A new addition to Fishtown is Good Spoon Soupery (1400 N. Front St.), where many of the rotating list of soups are gluten free. Reader Robin F. let me know that The Bakery House in Bryn Mawr (604 W. Lancaster Ave., 610-525-4139) has gluten-free cakes, cookies and brownies. The bakery also makes traditional sweets on the same premises, but the gluten-free items are prepared using separate equipment. Scotland's famous Walkers Shortbread now has three gluten-free varieties of its buttery cookies available in the United States: Shortbread Rounds, Chocolate Chip Shortbread and Ginger & Lemon Shortbread. They can be found in the cookie aisle and are available for online ordering. I bought the chocolate chip ones at the Evesham ShopRite and can report that they are delicious! Speaking of cookies, the Girl Scouts announced this week that there will be two kinds of gluten-free cookies available at this year's cookie sale, depending on region. 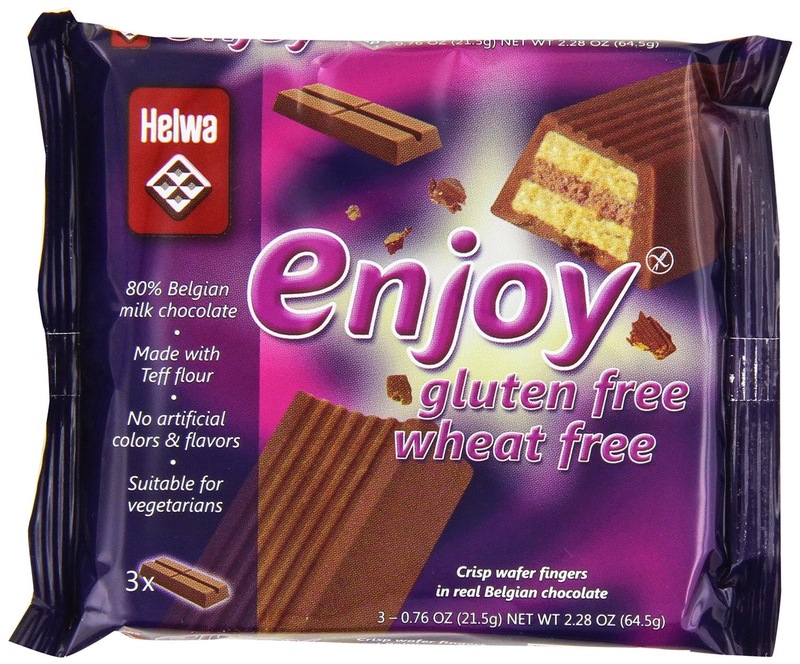 I've raved several times about Helwa's gluten-free Kit Kat-style "Enjoy" wafer candy bars imported from the Netherlands. They're hard to find in stores, but they're now available for purchase at Amazon.com. The online retailer also carries the company's "Free Time" bars, which are made with aerated chocolate (similar to Hershey's Air Delight) and gluten-free wafers.